Gardeno Corfu: Gardeno is a little gem, one of Corfu's undiscovered areas located 40 km southwest of the main town and 5 km from the village of Lefkimmi. The long sandy beach distinguishes not only for the lush green setting but also for the tranquil atmosphere. The shallow and crystalline waters provide safety to the children and make this beach an ideal place for all types of visitors for those who want some privacy. A long tuft of cypress hills offer natural shade while several sunbeds and umbrellas are also available at the centre of the beach. 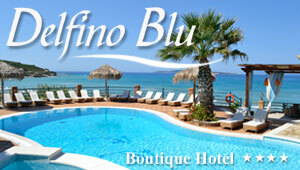 It is also worth visiting the taverns overlooking the blue bay after a refreshing swim in Gardeno.